When you have small children or teens in the house, there are no shortage of “things” to go along with them. From toys to sports equipment and art supplies or school supplies, there’s lots to keep up with and organize. A great way to do this is by creating spaces in your custom home that are built with your kids in mind. 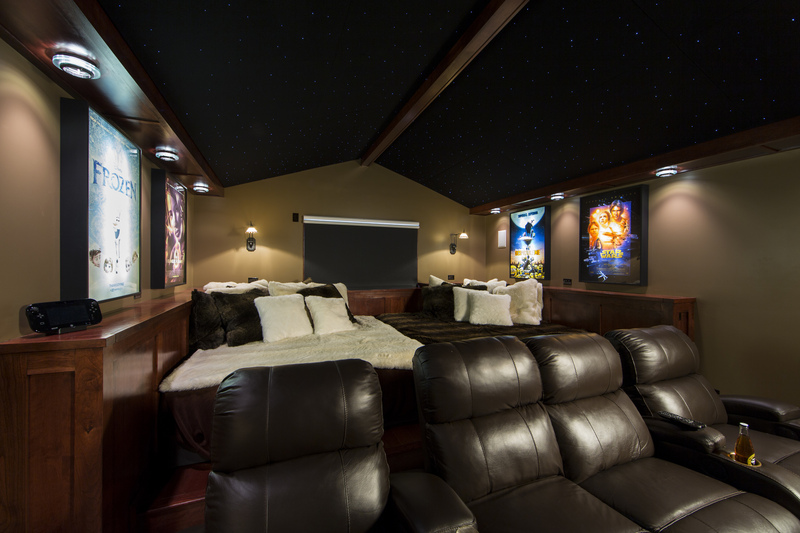 Designing a space with entertainment, organization and functionality in mind can be tricky. Follow along with Alair Homes Charlotte as we walk through the design process for kid friendly spaces, and perhaps you’ll get some ideas to implement in your own home soon. Here we have a space that has organizational components to house toys, games and extra blankets. 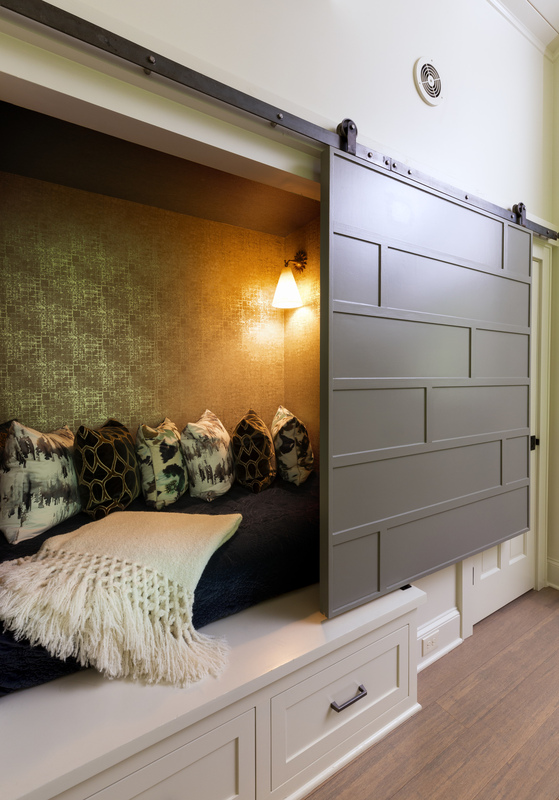 Additionally, this cozy nook serves as an enchanting space to hide and read a book or that perfect extra spot for your youngest guests and Saturday night sleepovers. Here is a perfect spot to convince teens to hang out in your home. As our children grow, it becomes more important to provide a space for them and their friends where they can hang out, socialize and feel a little more “grown up” while they’re having fun. 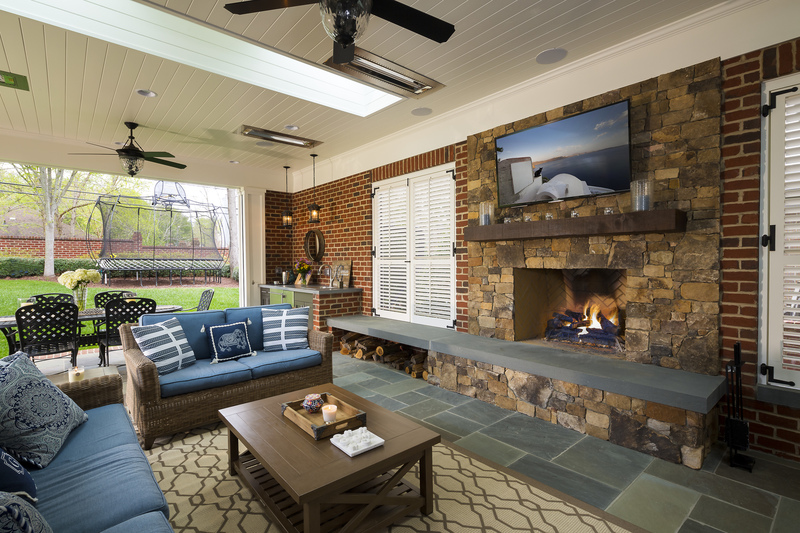 When the space isn’t being used for the kids in your life, it also makes a great spot for adults to watch the game, enjoy a game night or cozy up with a glass of wine and a little Netflix. This space checks all of those boxes making it a remodeling option that is fun, functional and adds value to your home. Here is another space where gaming is taking center stage in a pool cabana. You can almost picture those competitive ping pong tournaments – kids versus parents and the littlest one keeping score while cheering on his big brother. Whoever loses gets thrown right in the pool! 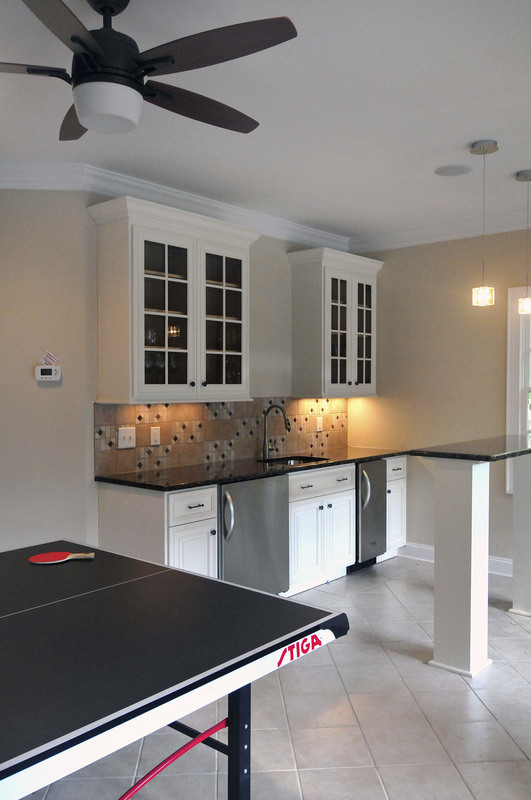 Adding room for a ping pong table, pool table or even arcade games helps you to create a space where memories are made and that the whole family will enjoy. As you’re making your kid friendly home remodeling plans, don’t forget about outdoor spaces too. Kids love the outdoors, and the sky is the limit when it comes to adding options for your family to enjoy, whether that be a trampoline, a rock climbing wall, a swing set or even a swimming pool. For this family, having a space with a trampoline and room to run and enjoy a BBQ helped them to enjoy their days and summer evenings more. And who would mind sitting by the fire watching a ball game while the kids play nearby? 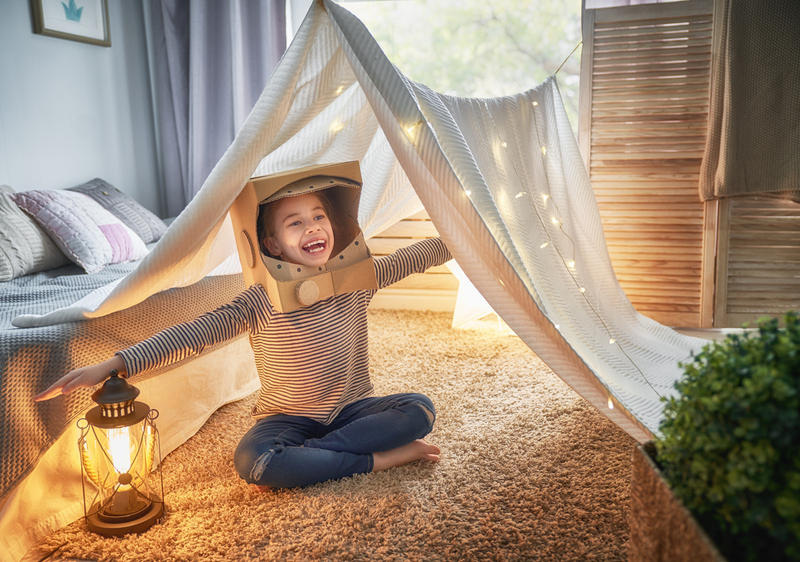 Creating the right spaces in your home for your children helps them to feel more comfortable, and it provides opportunities for better living for the entire family. So, what does your dream teen space look like? Alair Homes Charlotte is here to help you create it. Contact us today, and let’s talk through your ideas and bring your vision to life.